AjaxControlToolkit contains a rich set of controls that you can use to build highly responsive and interactive AJAX-enabled Web applications. AjaxControlToolkit contains more than 40 controls, including the AutoComplete, CollapsiblePanel, ColorPicker, MaskedEdit, Calendar, Accordion, and Watermark controls. Using AjaxControlToolkit, you can build AJAX-enabled ASP.NET Web Forms applications by dragging-and-dropping Toolkit controls from the Visual Studio Toolbox onto a Web Forms page. 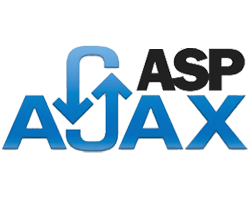 Sign up for our UK AJAX Control Toolkit 15.3 Hosting with no risk to try our excellent service start from £2.99/month! ASPHostDirectory.com offers cheap AJAX Control Toolkit 15.3 Hosting to all our new and existing UK customers. You can try our services before buy it. Get FREE 7 days Trial Hosting with us. There's no obligation to buy — you can upgrade to a more robust account or cancel at any time. No risk anymore, why wait longer?